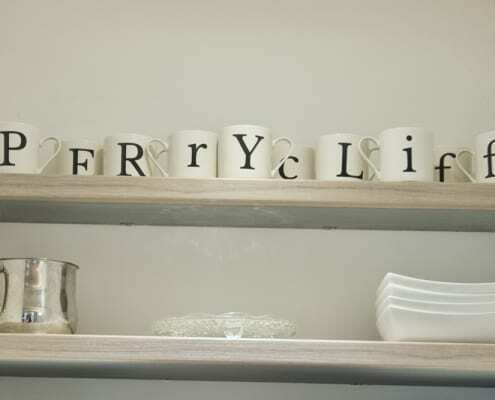 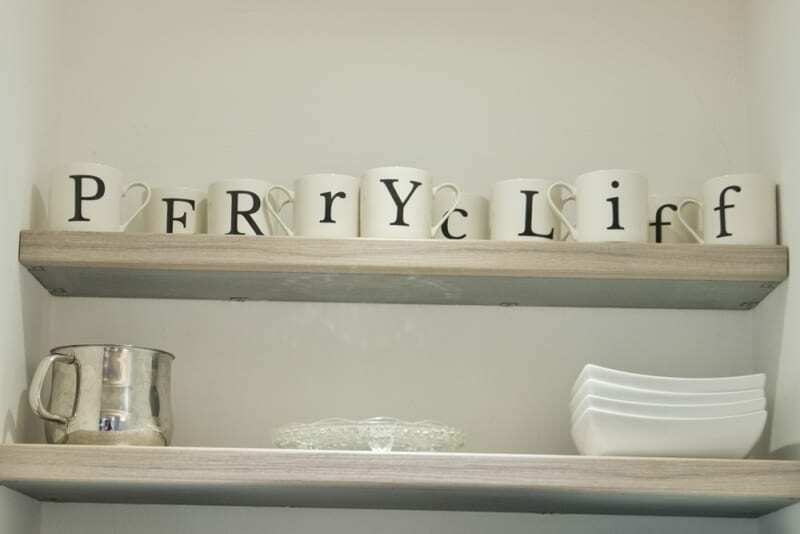 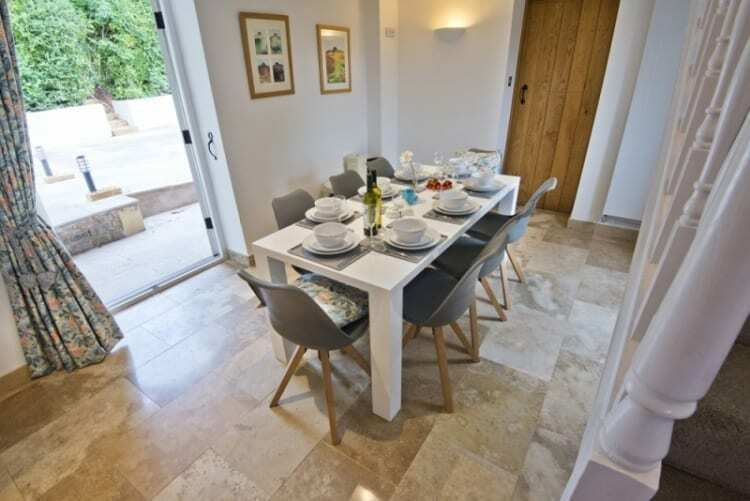 With 4 ensuite bedrooms, two of them on the ground floor, and spacious living accommodation, Perrycliff Cottage is ideal for couples sharing and also for family and friends’ groups or 3-generation families. 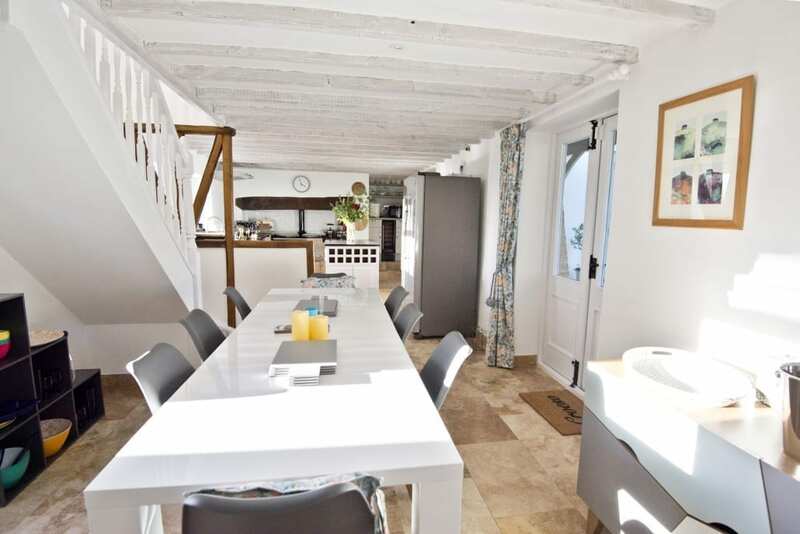 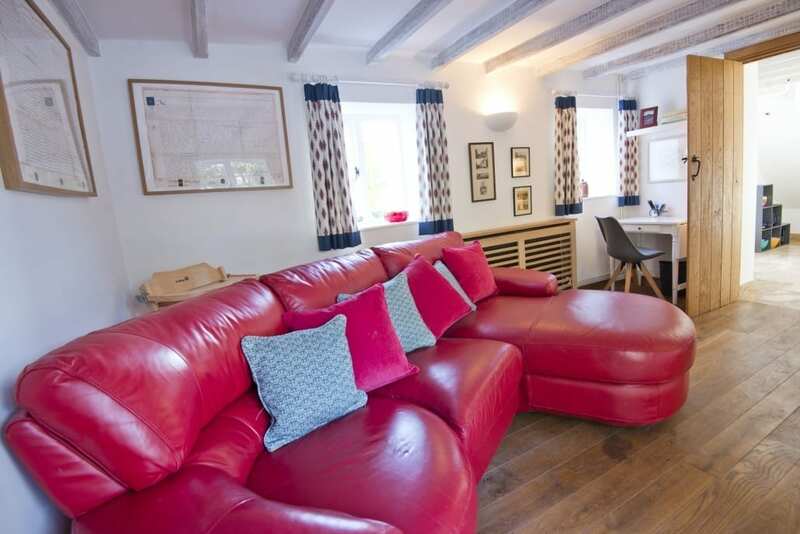 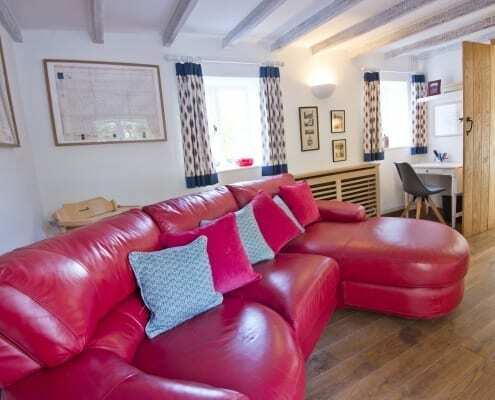 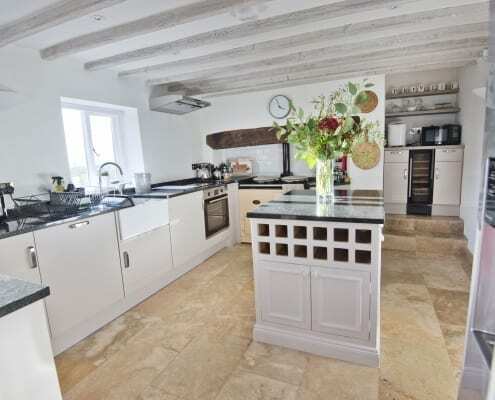 This character cottage has been beautifully restored and furnished and is now available for holiday rentals. 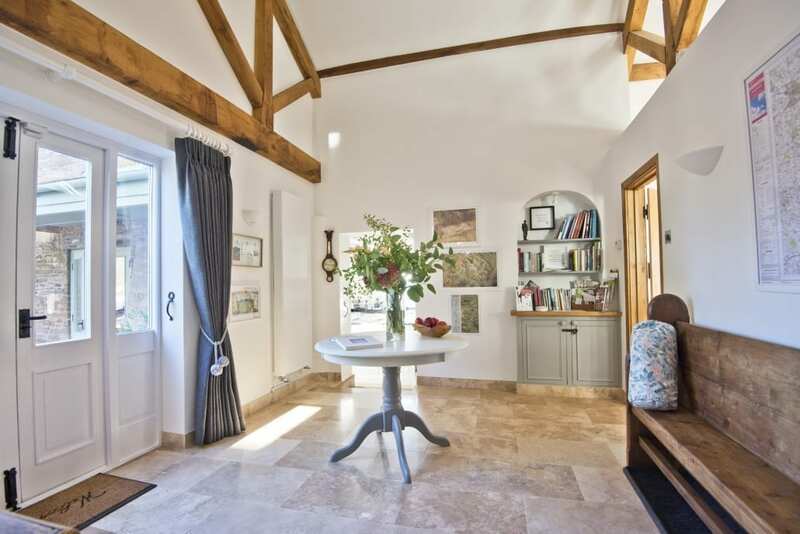 Enter the cottage via a spacious entrance hall with maps and books and plenty of reading material to plan your holiday. 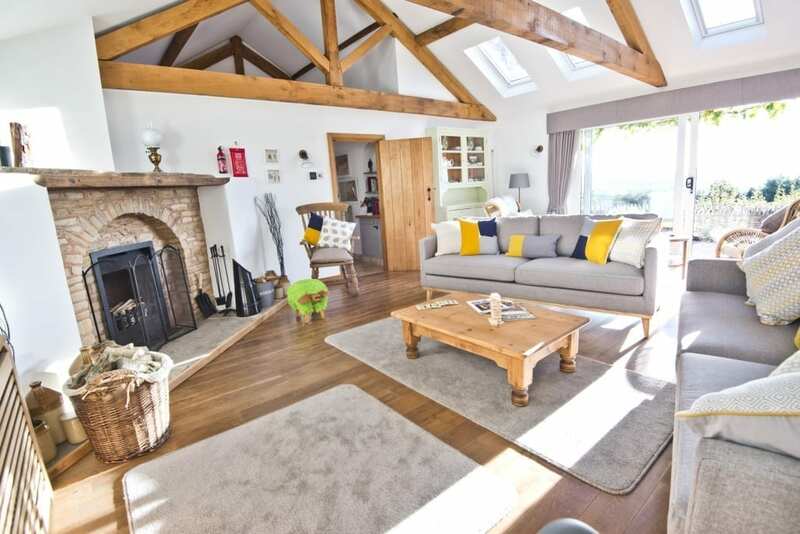 The comfortable and stylish living room leads off the hall and enjoys spectacular views through large sliding doors onto a terrace for eating and sitting outdoors. Alongside an open fireplace, the living area has high quality soft furnishings and a smart TV and DVD player and other amenities. 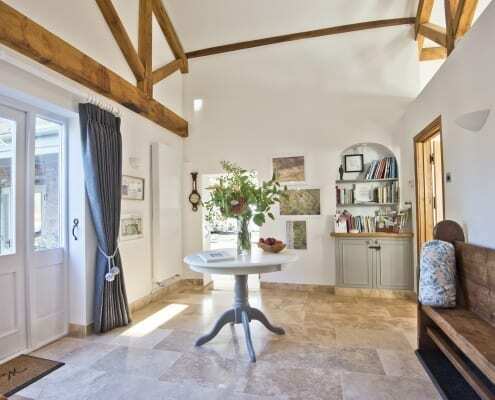 Large, automated skylights add to the light and airy feel of the room. 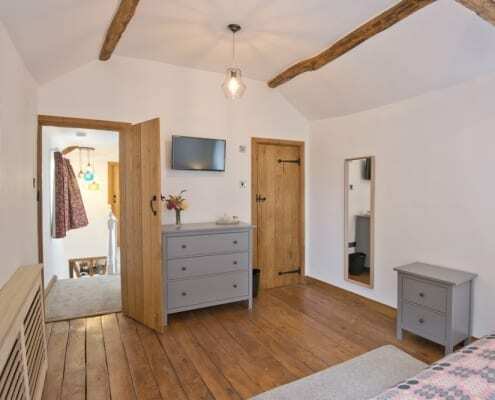 There is also a second smaller living room also enjoying the open views, desk, smart TV, DVD player, and an ample supply of DVDs, books and jigsaws. 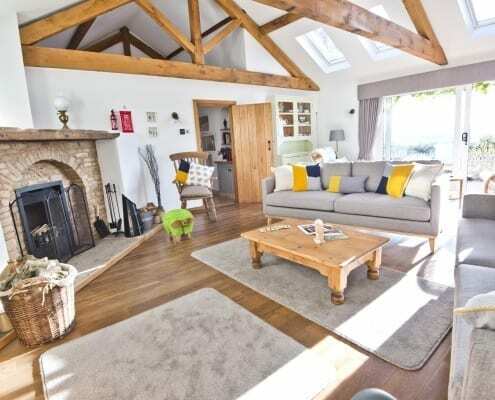 Both hall and large living room have a vaulted ceiling with oak beams. 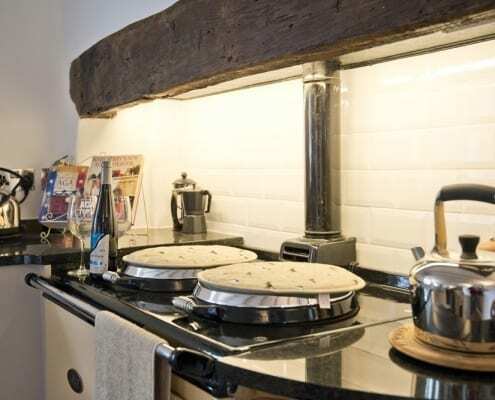 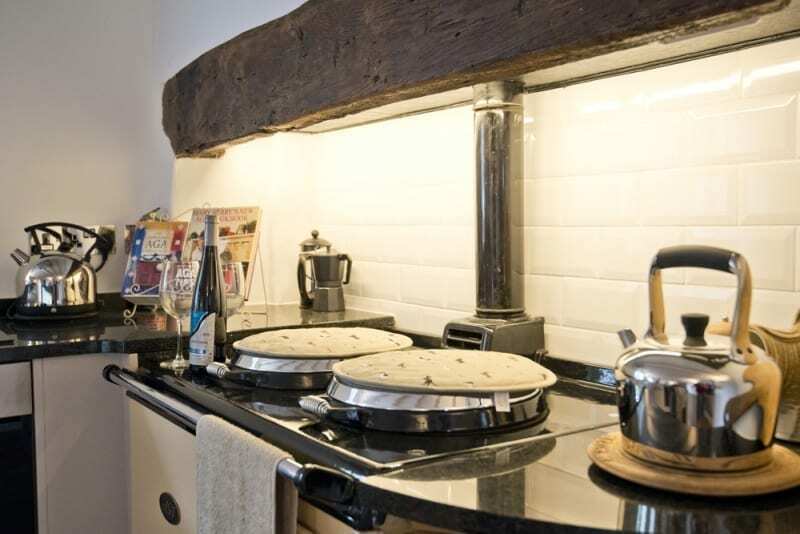 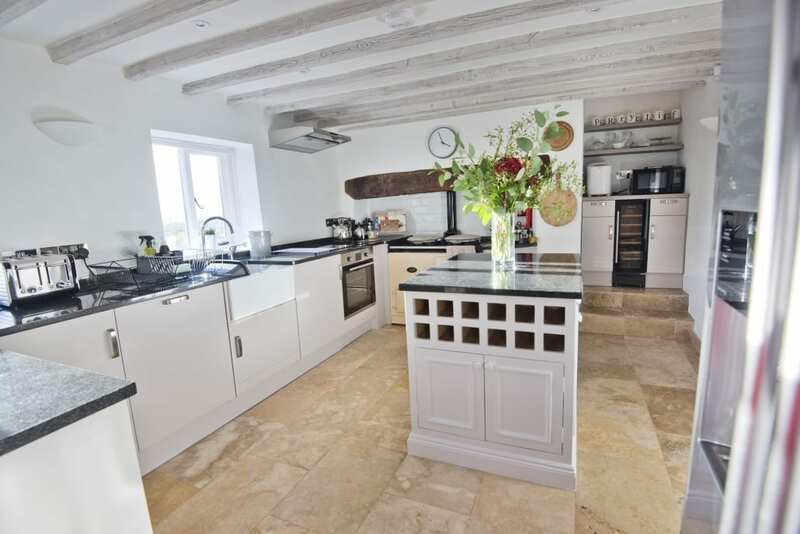 The traditional-style kitchen contains an Aga, ceramic hob, oven, dishwasher,microwave, american style fridge-freezer, wine fridge, Quooker boiling water tap and a wide selection of cookware, crockery, glassware, equipment and cookbooks. 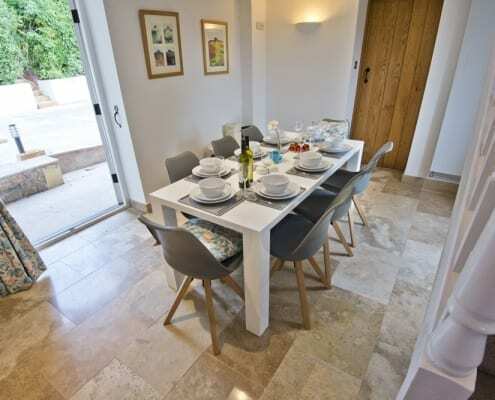 The dining area in the kitchen also opens out onto front and back terrace gardens. 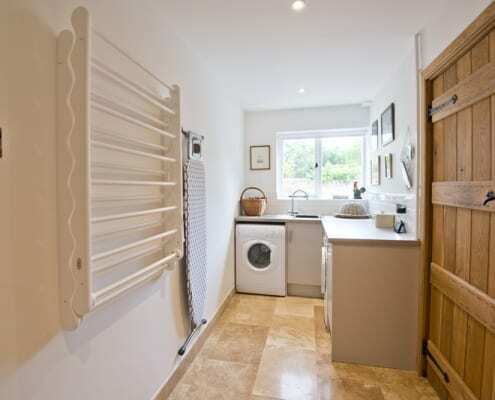 There is a separate room for washing and drying including a heated cupboard for boots and coats. 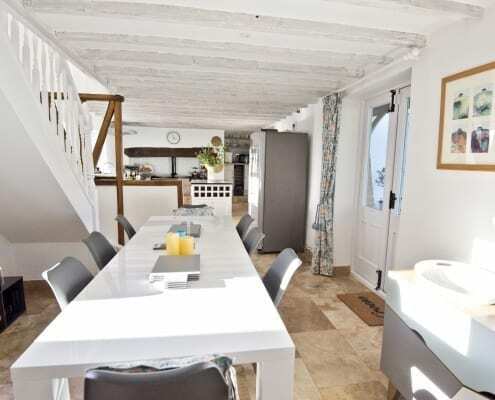 There are four bedrooms, two located on the first floor: and two on the ground floor. 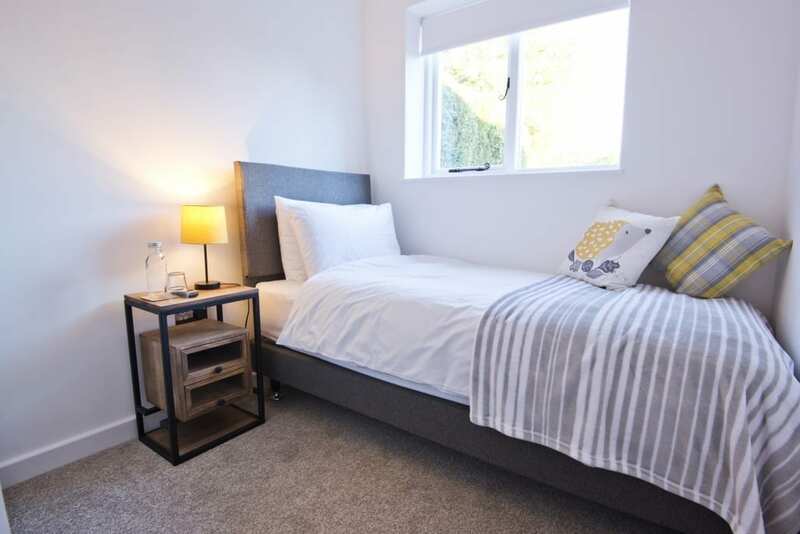 All of the bedrooms have comfortable beds with Egyptian cotton bed linen and two bedrooms have beds that can be made into either Super King or twin beds. One of the ground floor bedrooms is only available as two single beds separated by an en-suite bathroom to create two bedroom spaces within the same room for added privacy. 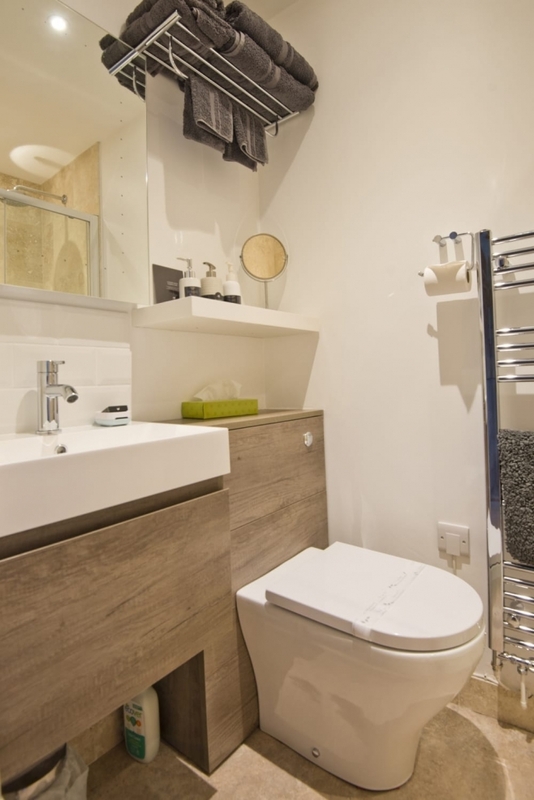 All bedrooms have well-equipped ensuite bathrooms. 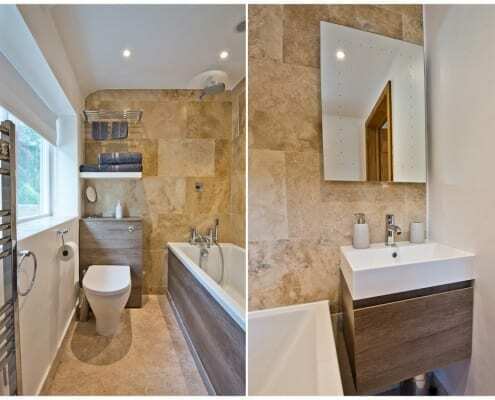 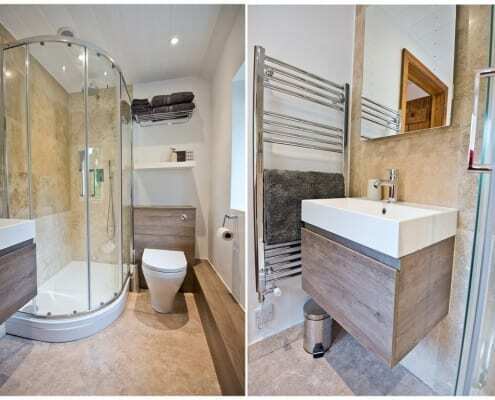 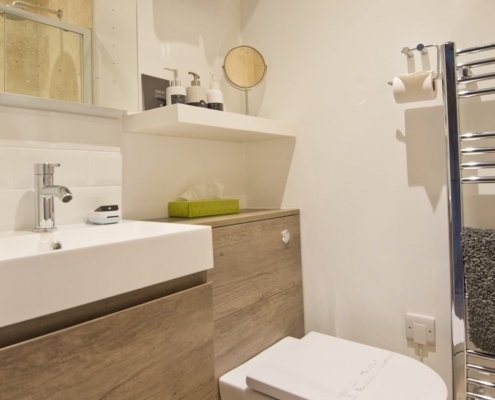 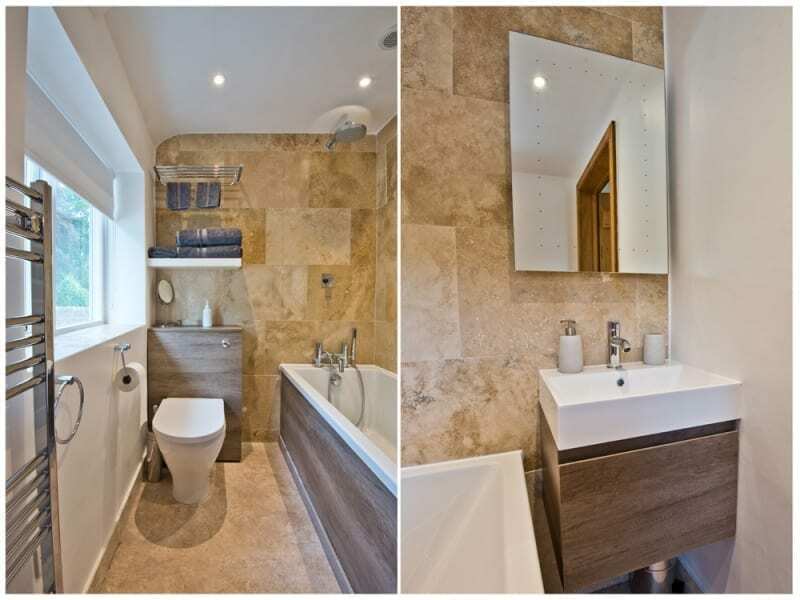 All feature a wash basin, heated / illuminated mirror, heated towel rail and WC and a shower and luxury Myddfai Trading Company -Warm Ginger toiletries . 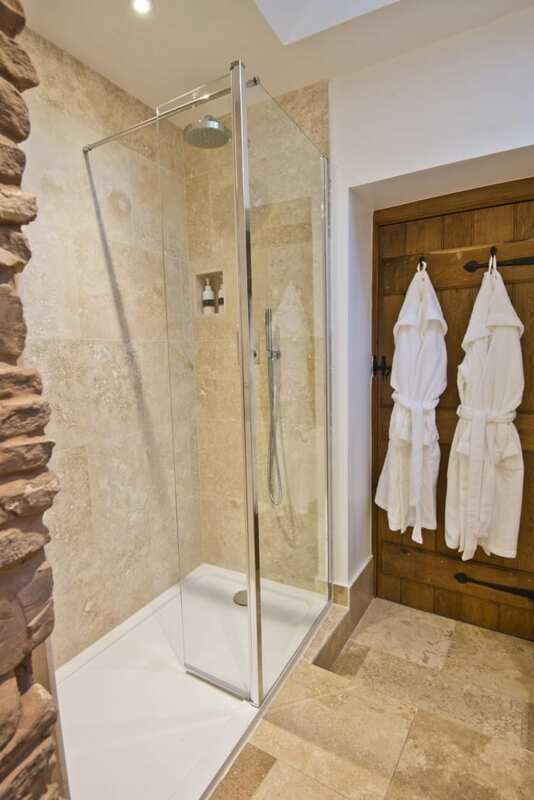 In addition one of the first floor bathrooms has a bath with shower over instead of a separate shower. 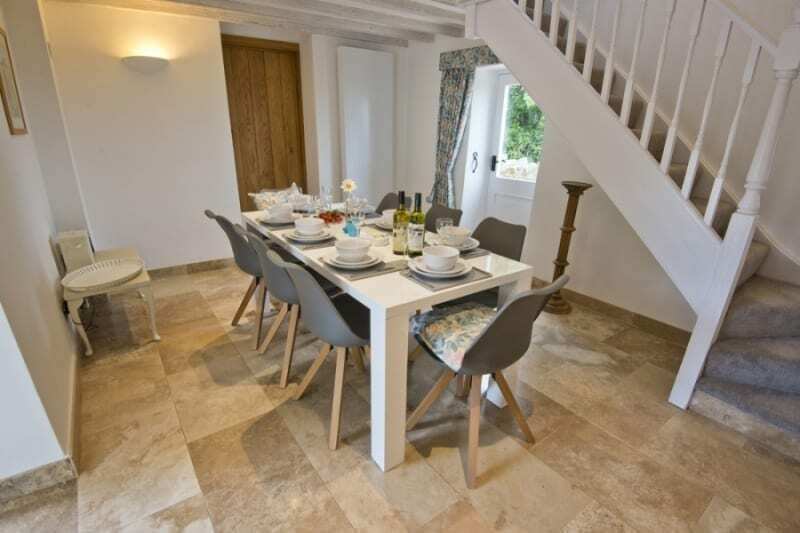 Perrycliff Cottage is on a quiet country lane and has a securely fenced courtyard garden with stylish garden furniture and a barbecue. 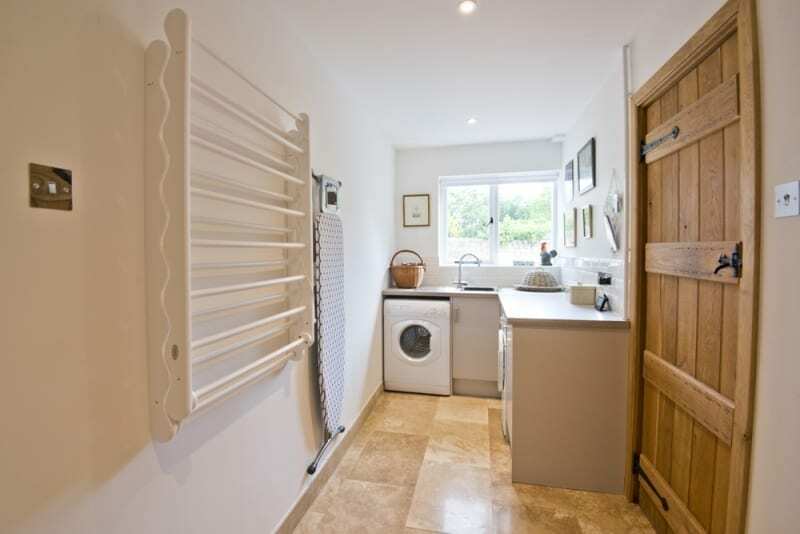 Electric gates lead onto the lane for your safety. 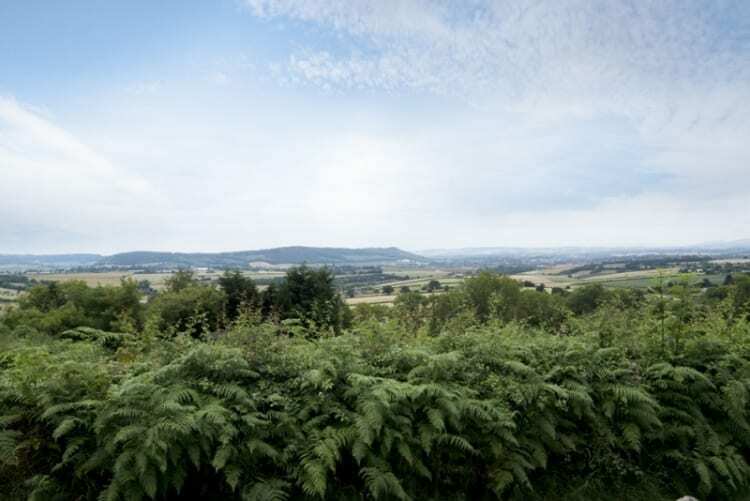 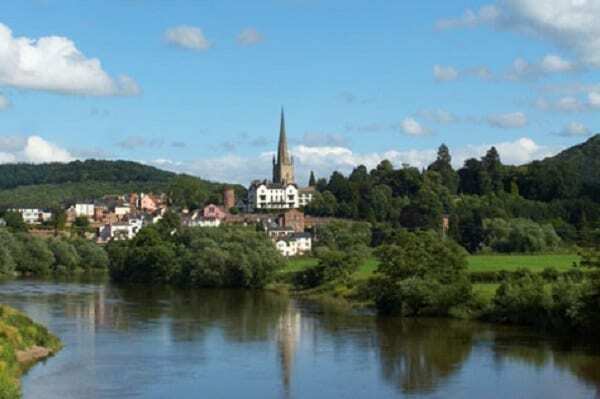 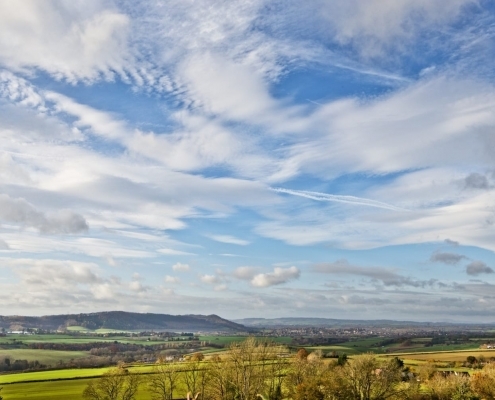 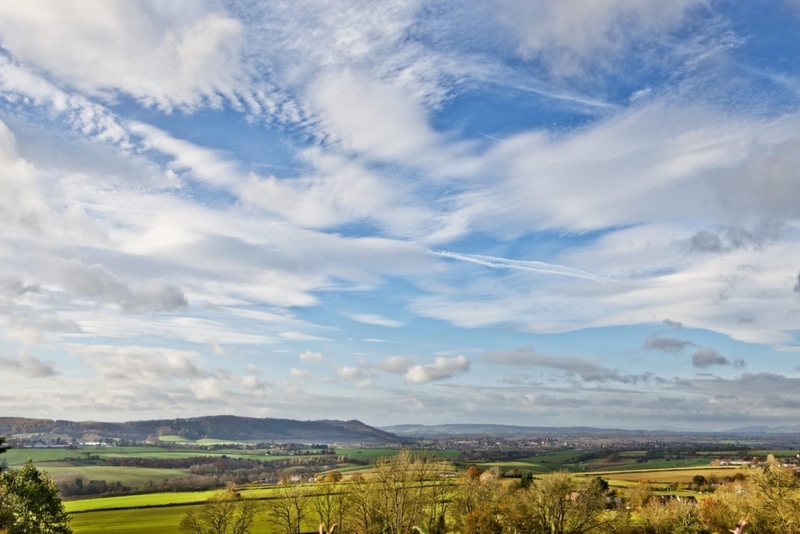 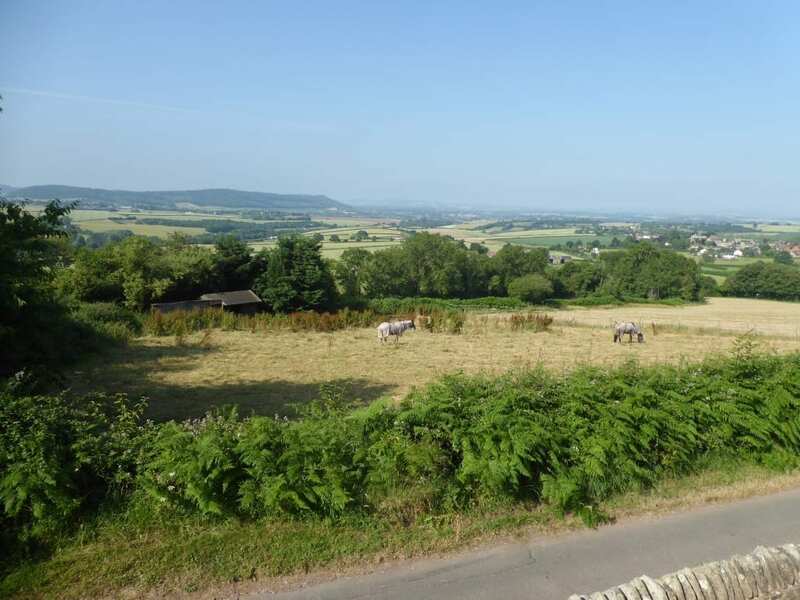 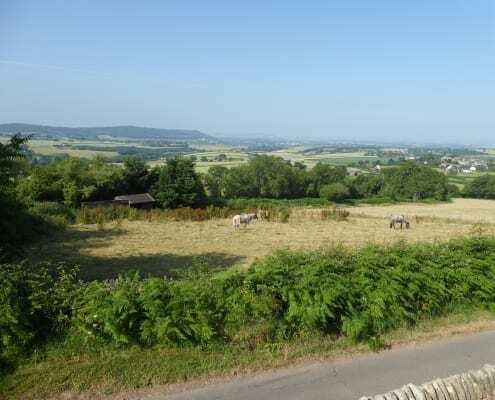 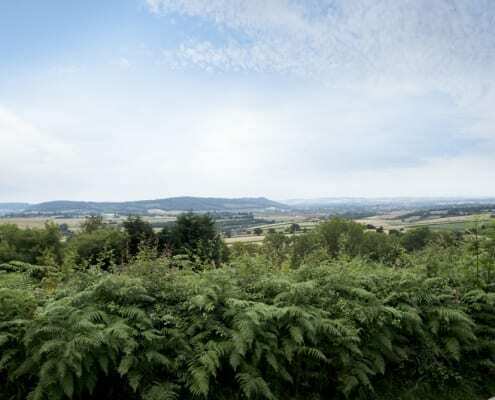 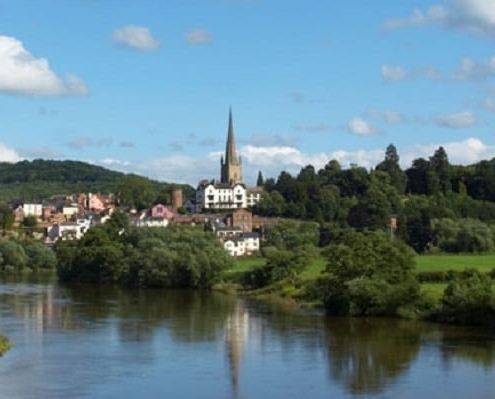 Guests can also enjoy a beautiful front terrace with spectacular views towards Ross-on-Wye and the Forest of Dean beyond and Wales and the Black Mountains. 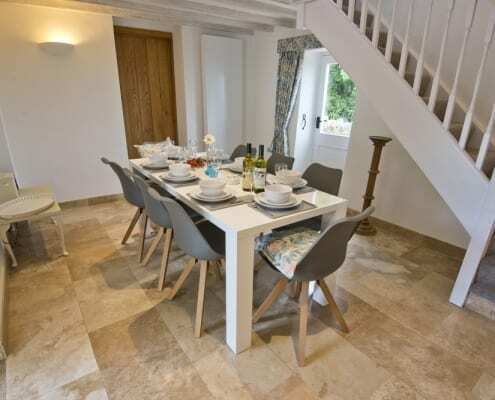 There is plenty of outdoor seating and a ramp leads from the car park for less able guests. 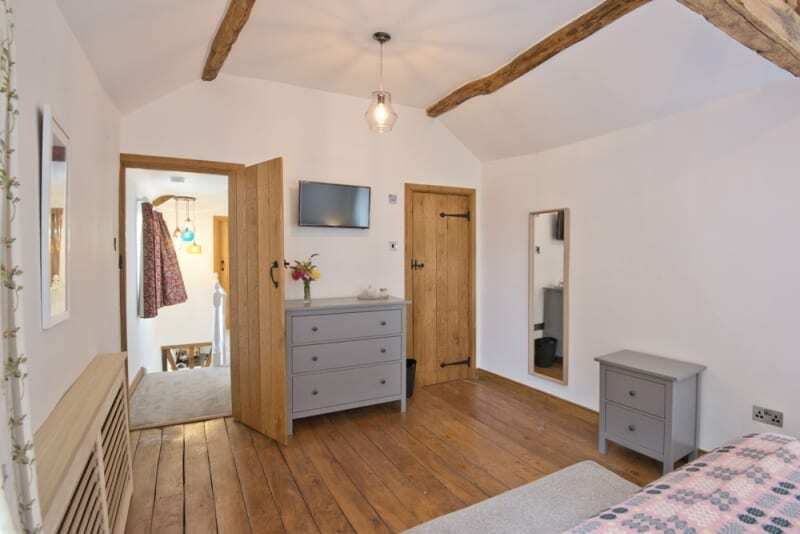 Please note: Perrycliff Cottage is a pet-free property, but we are happy to recommend nearby kennels or catteries if you wish to bring your four-legged friend away on holiday with you.